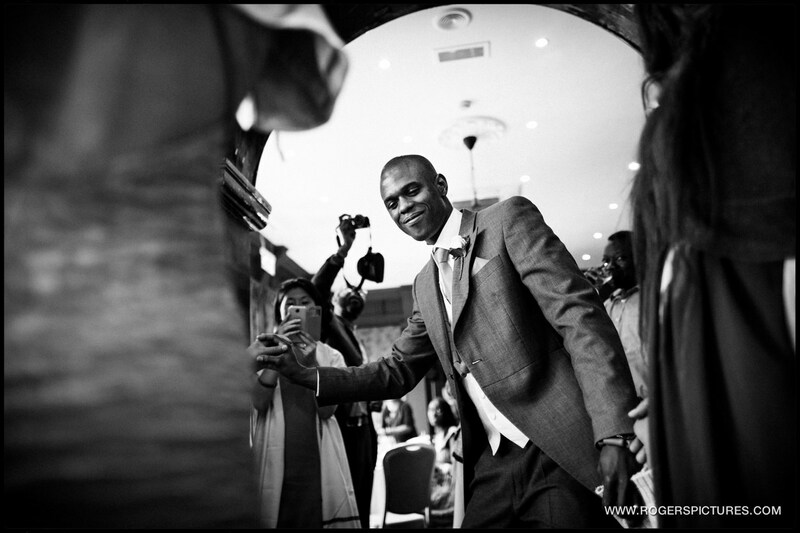 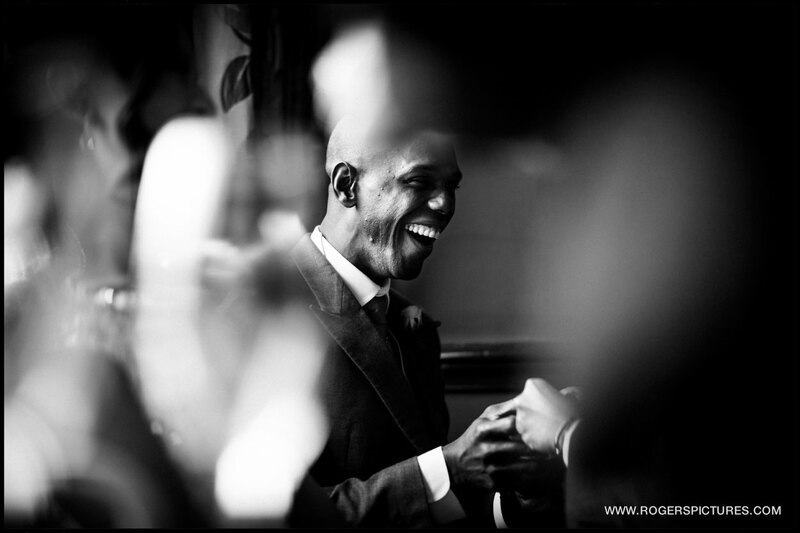 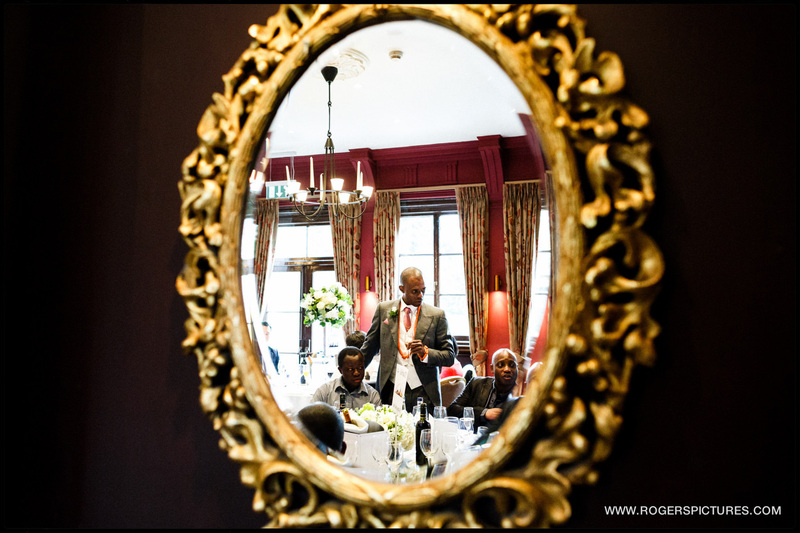 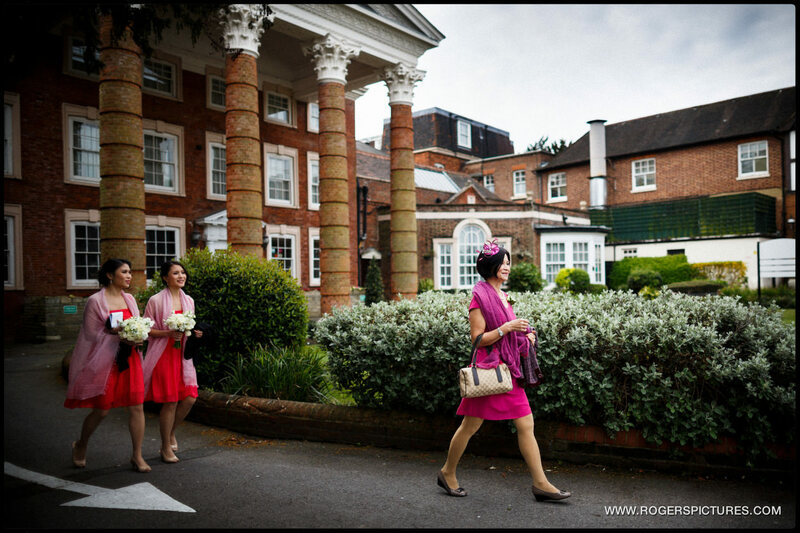 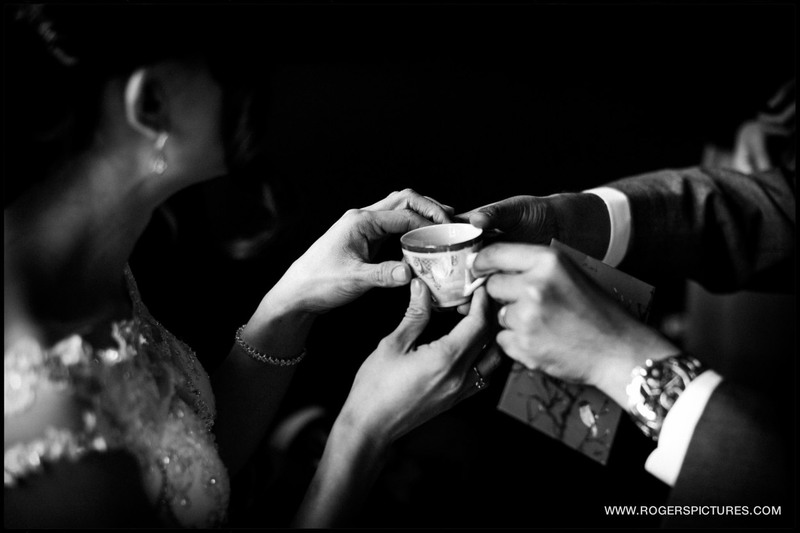 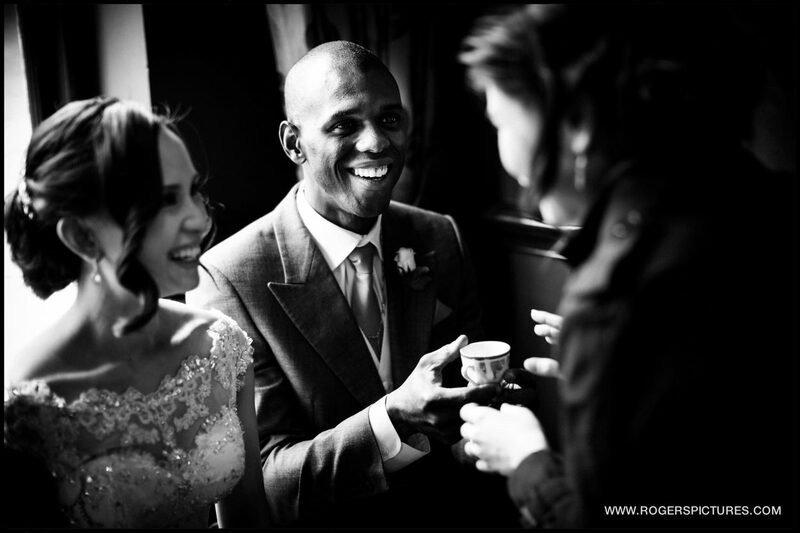 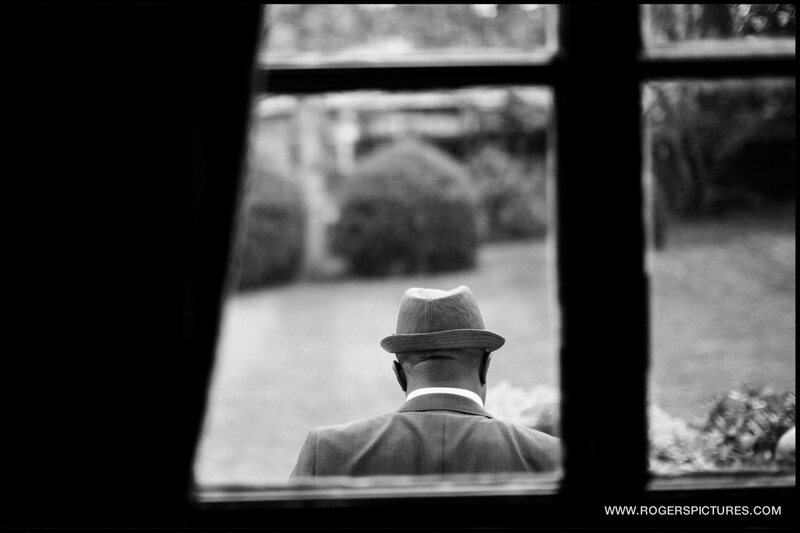 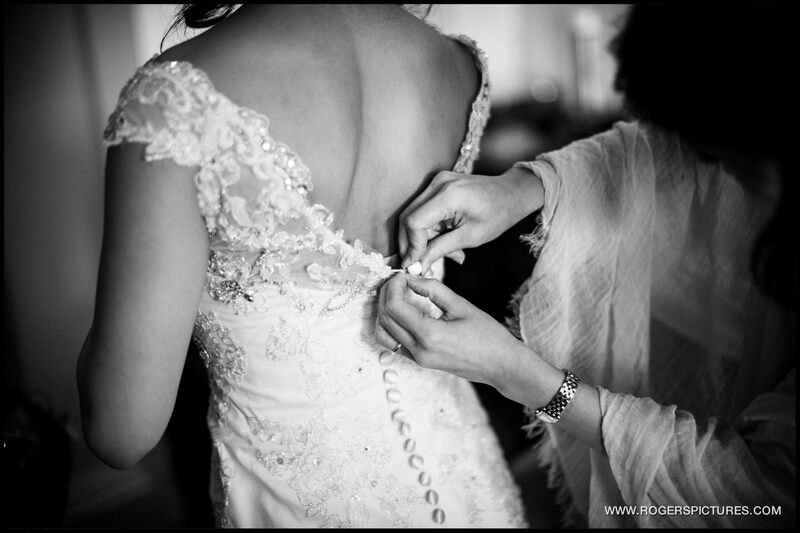 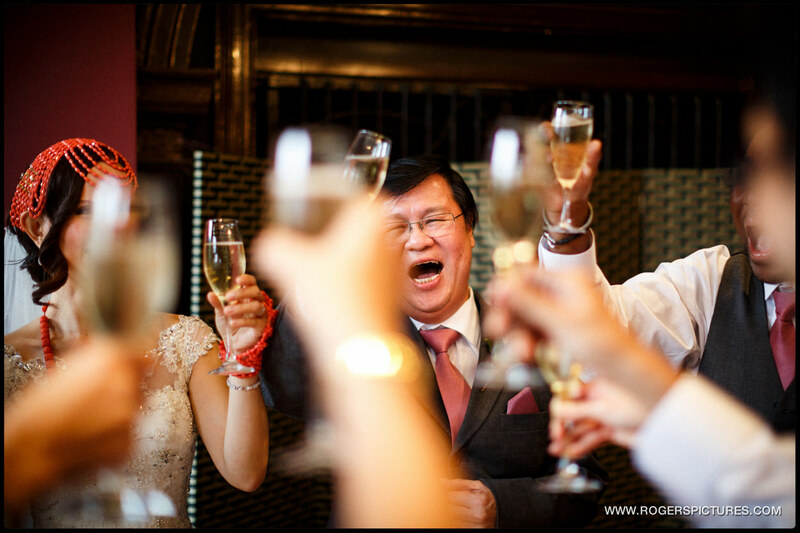 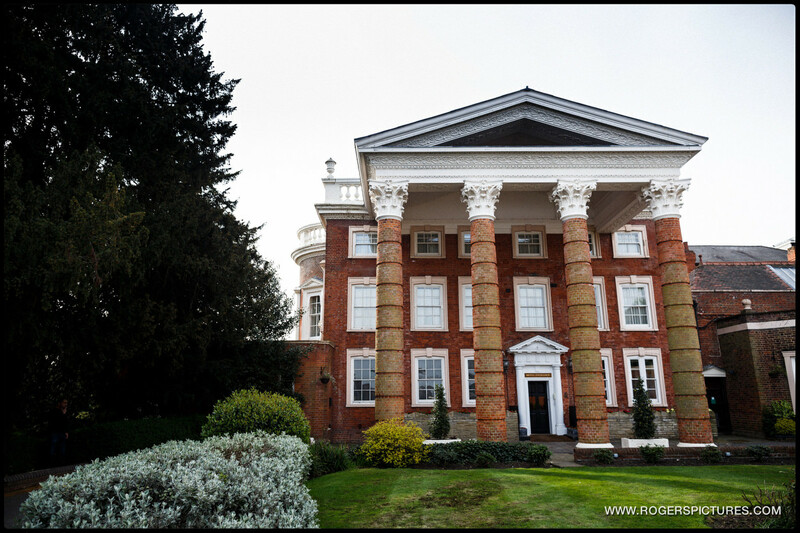 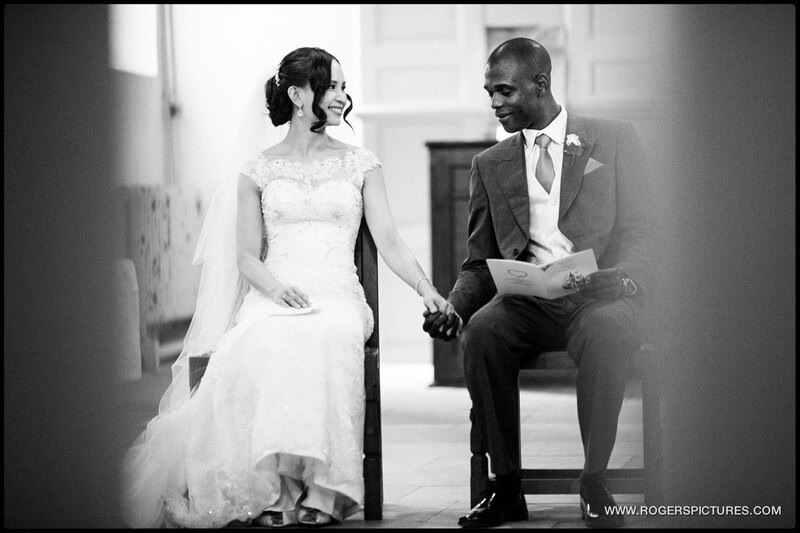 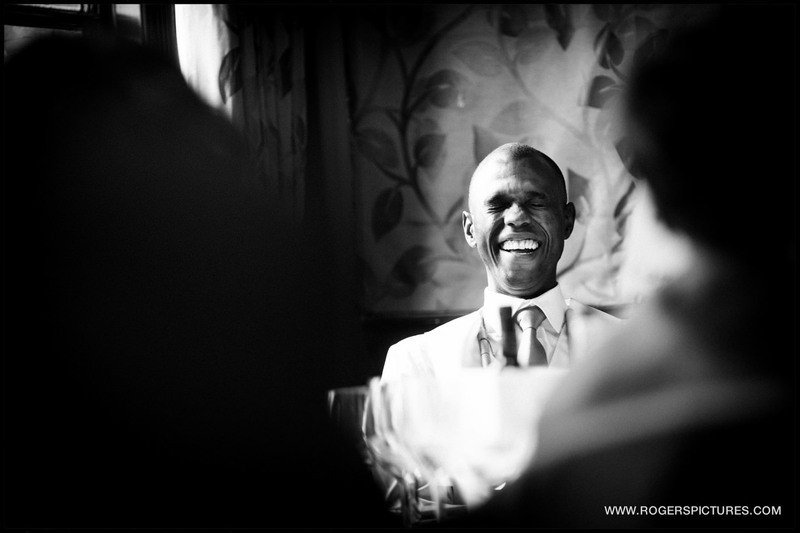 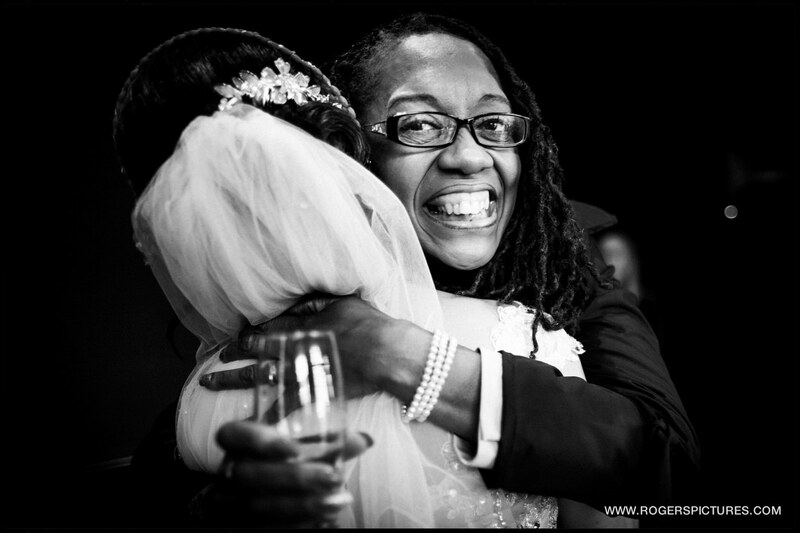 London wedding photography always delivers great moments to capture, and this Hendon Hall wedding was no different! 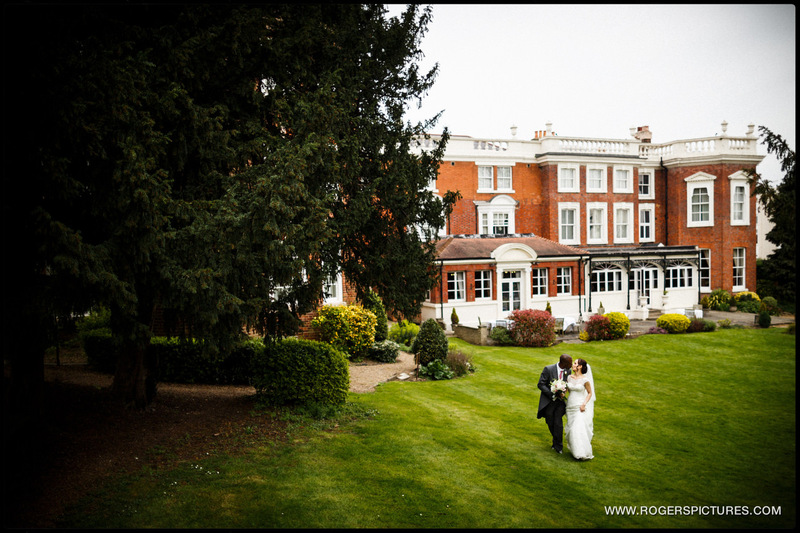 If you’re looking for an all in one place for your wedding, it’s one of the best North London wedding venues you could find. 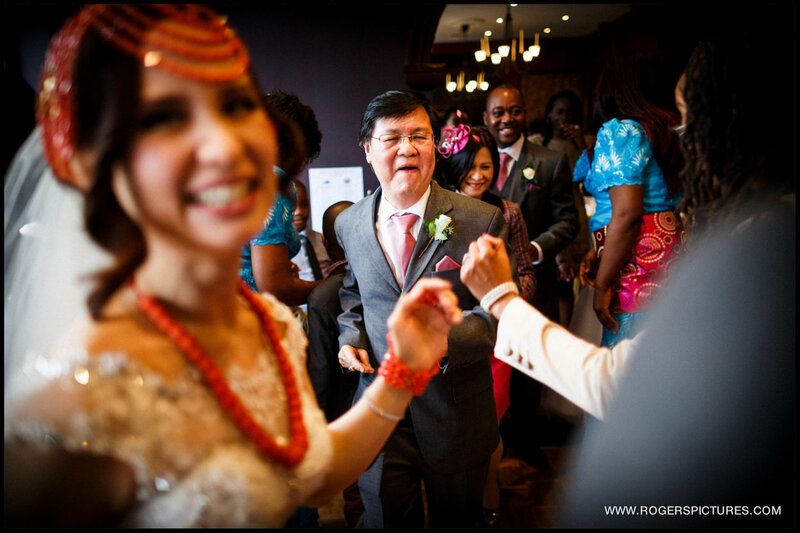 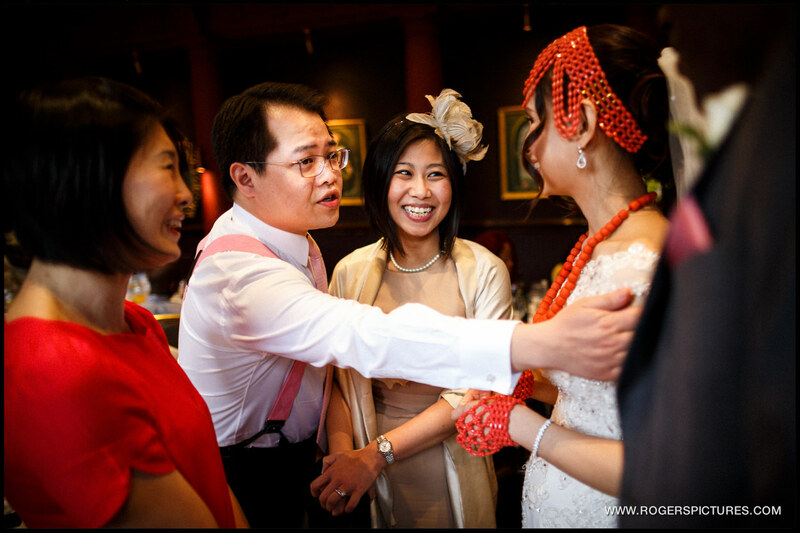 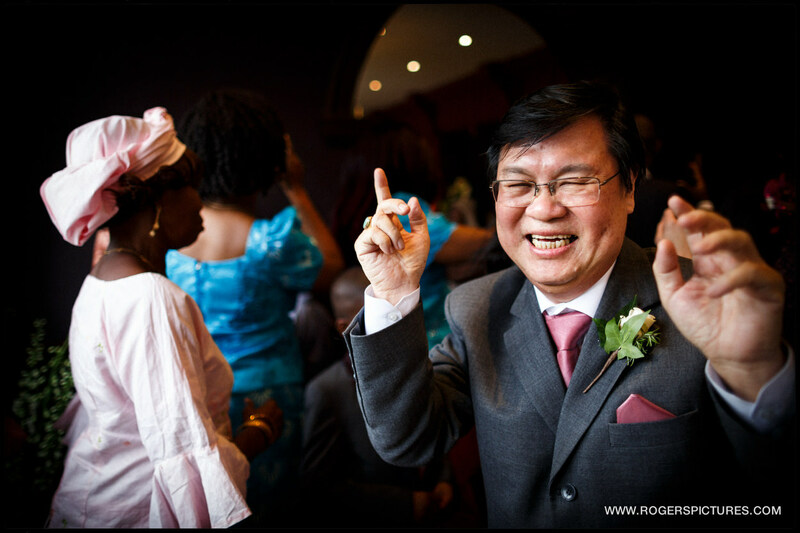 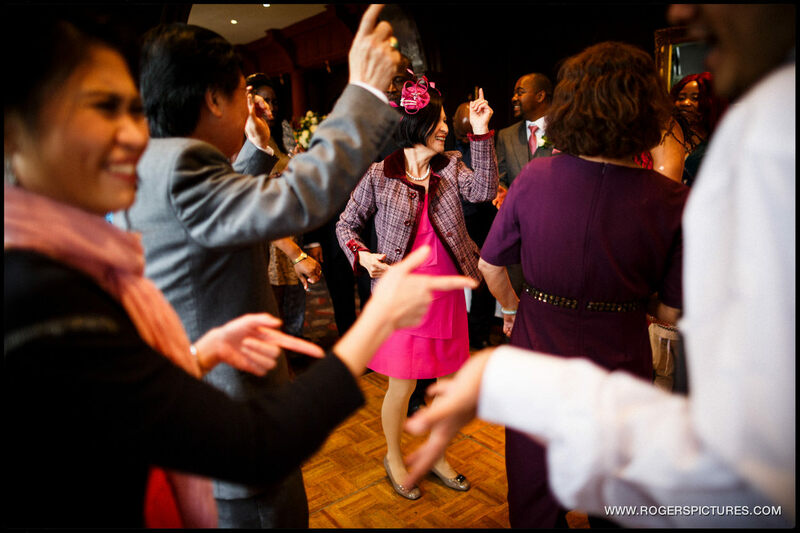 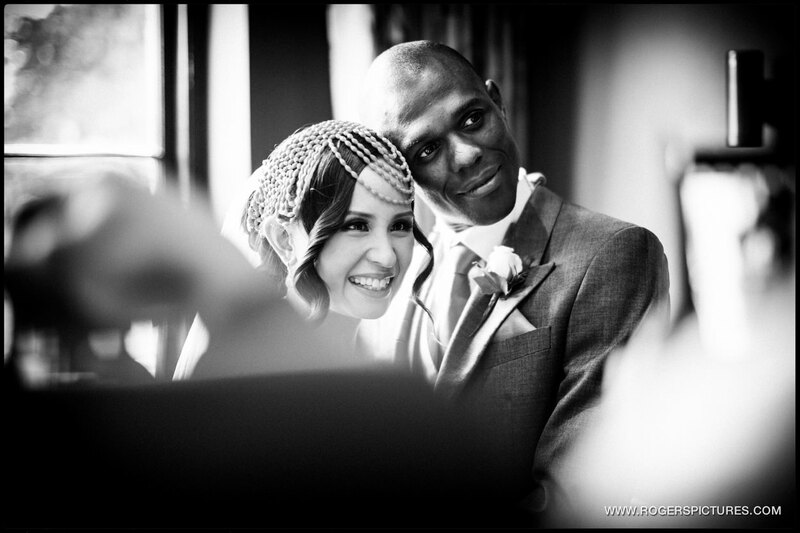 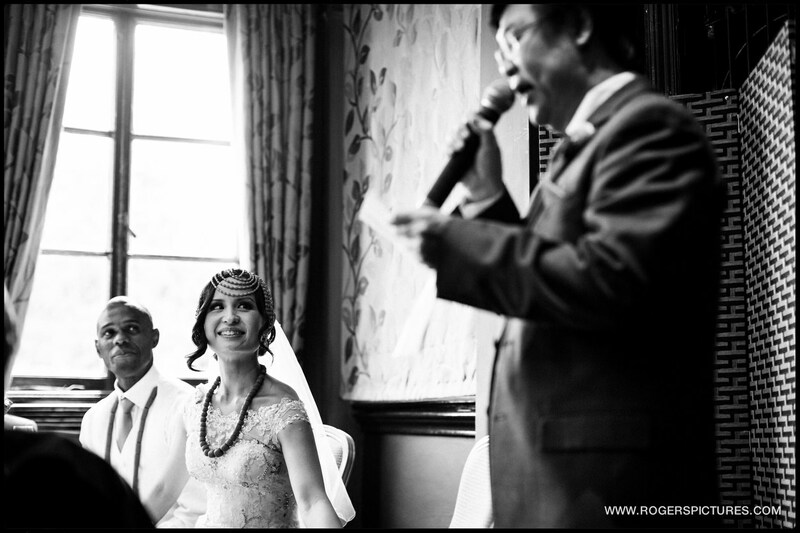 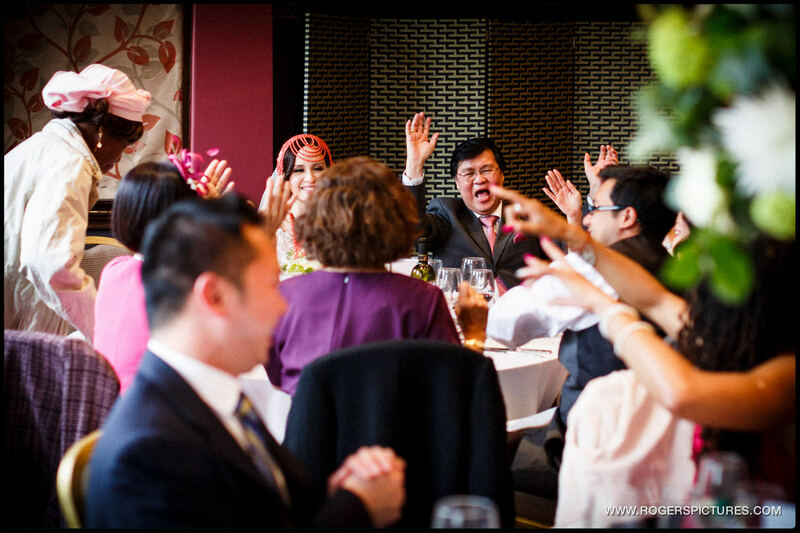 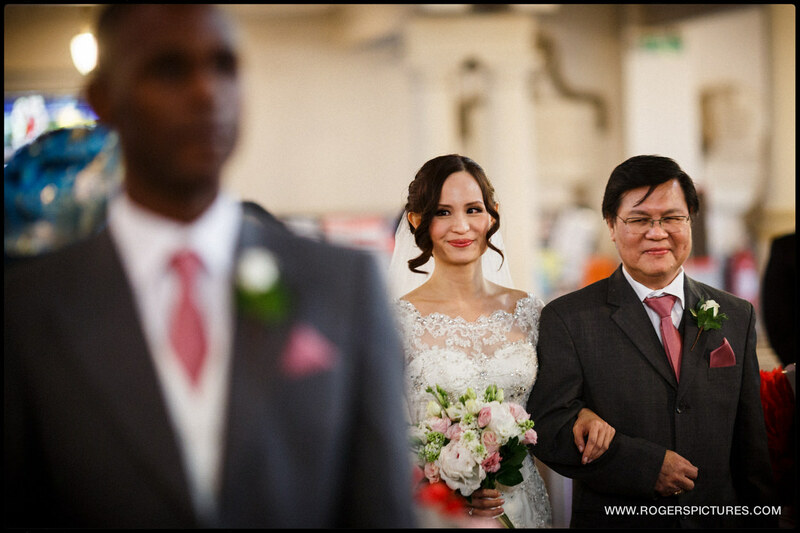 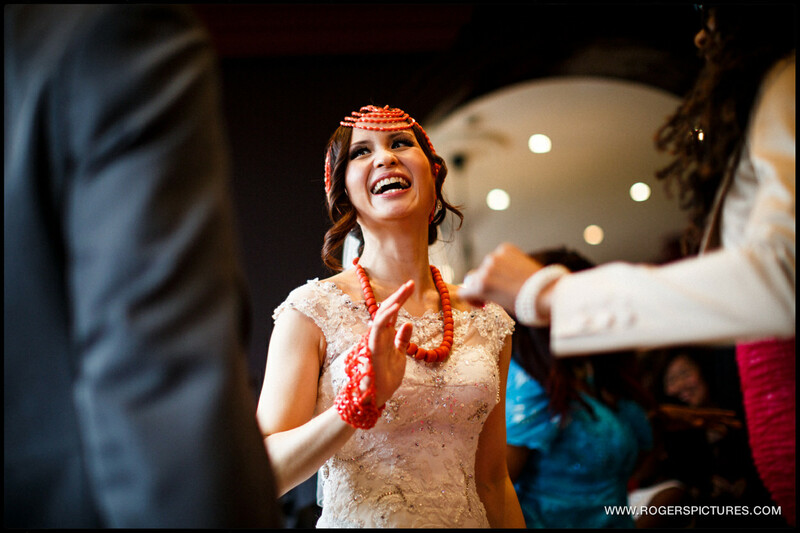 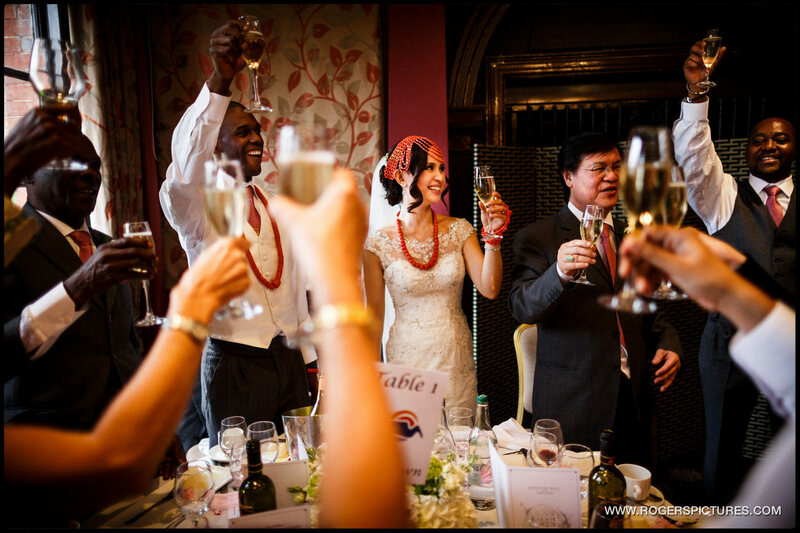 Eileen and Steven’s wedding had guests from two very different cultures coming together for an amazing day. 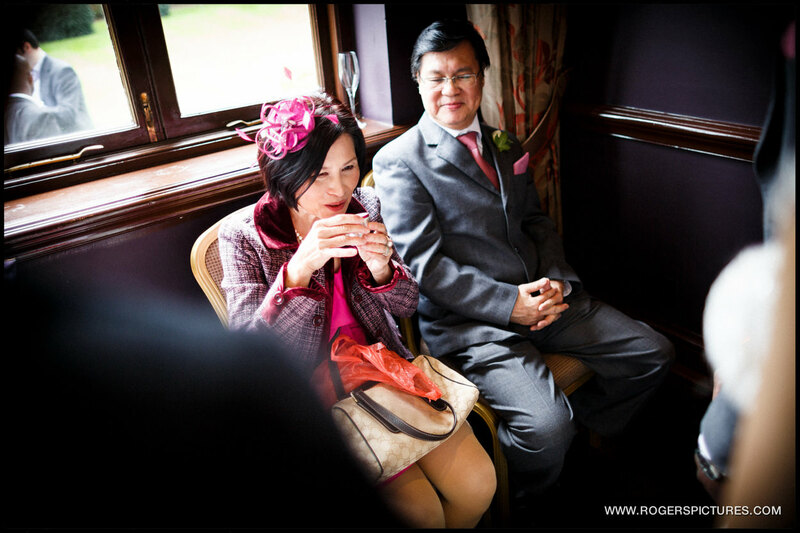 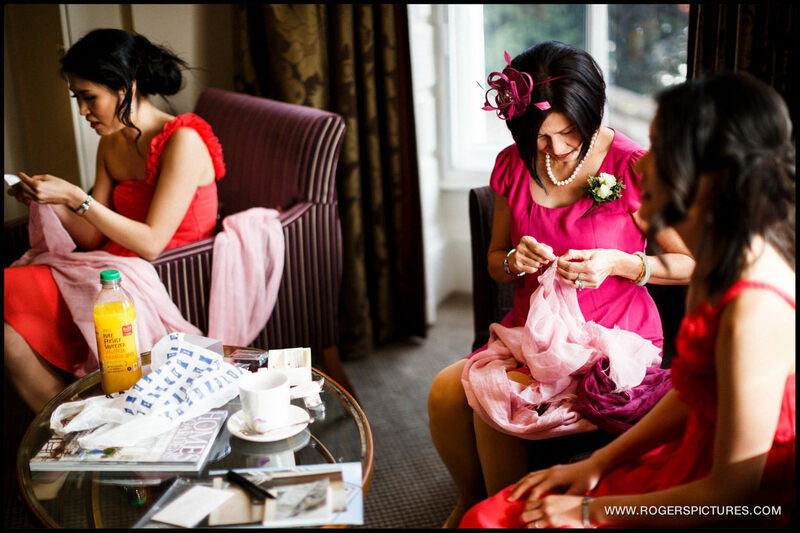 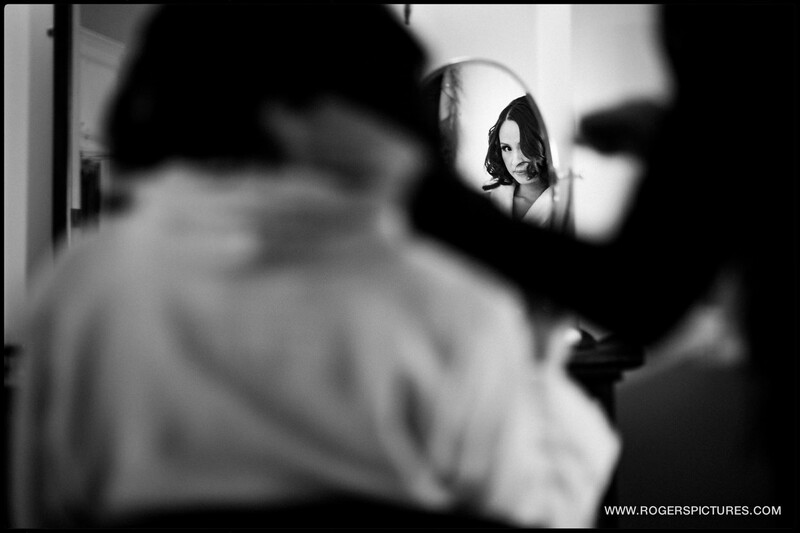 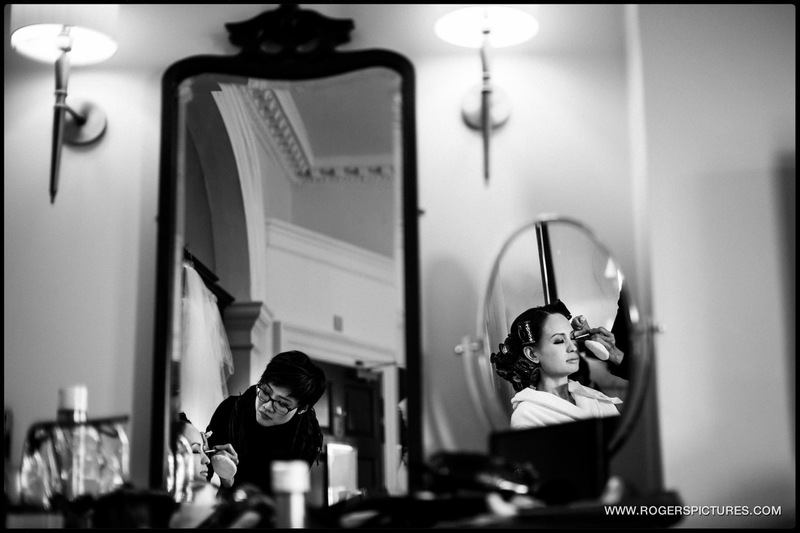 The photography started at Hendon Hall Hotel where Eileen was getting ready with her parents and sisters. 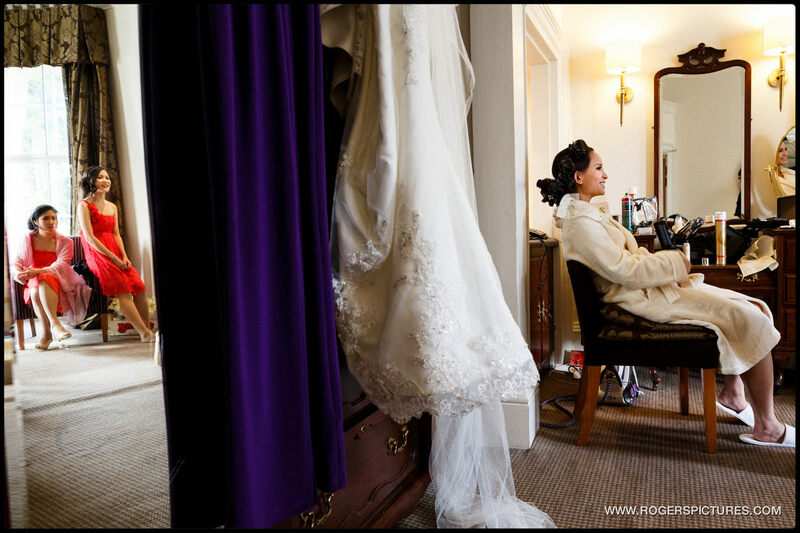 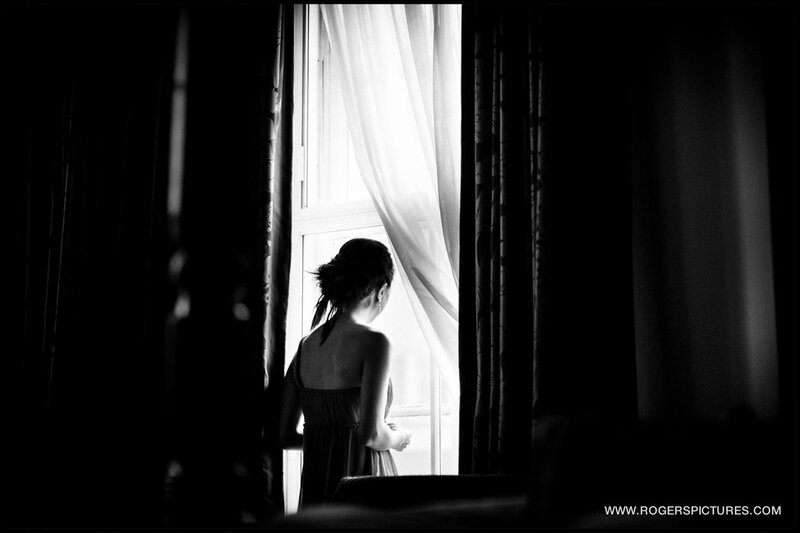 Nice big windows at the hotel gave me lots of light to work with during the preparations, before I headed over to the wonderful St John at Hampstead Church in North London. 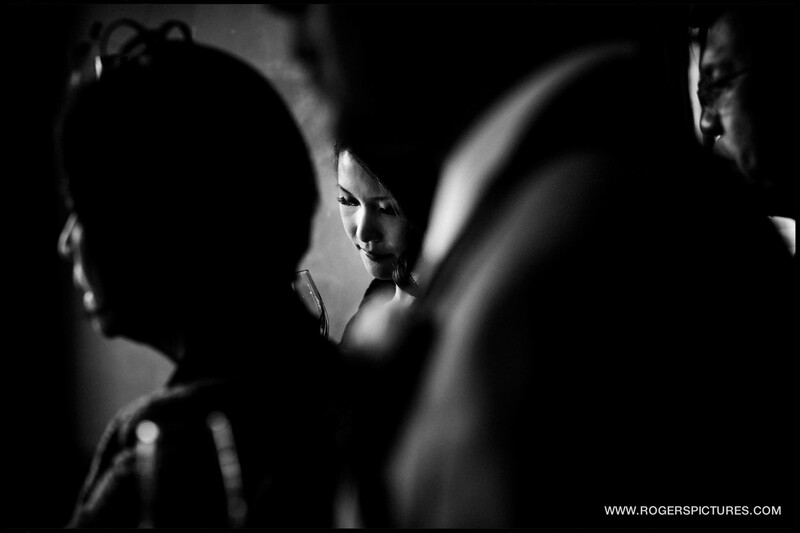 The guests were already arriving, and I had time to document some of the nerves as we all waited for the Bride’s arrival. 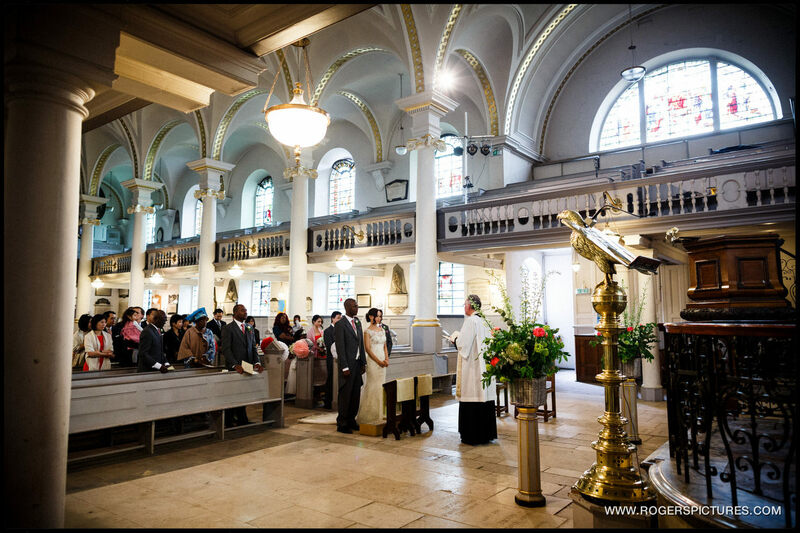 The church itself is huge, which gave me the opportunity of moving quietly during the ceremony to capture the bride and groom from a few different angles. 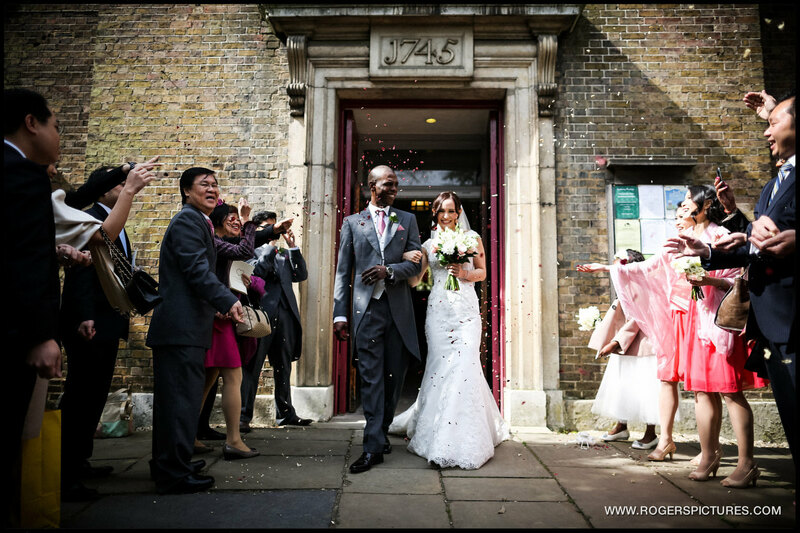 The sun came out towards the end of the ceremony which gave me some more great light as we all headed outside where the guests could congratulate the newly-weds. 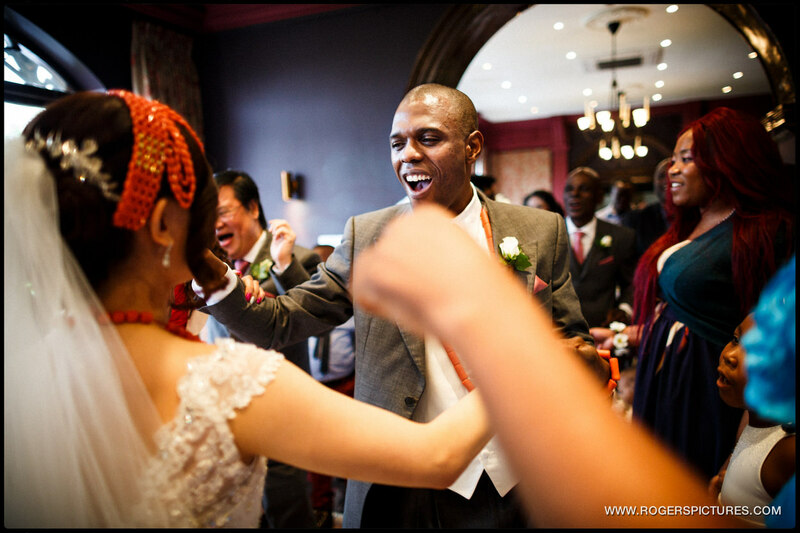 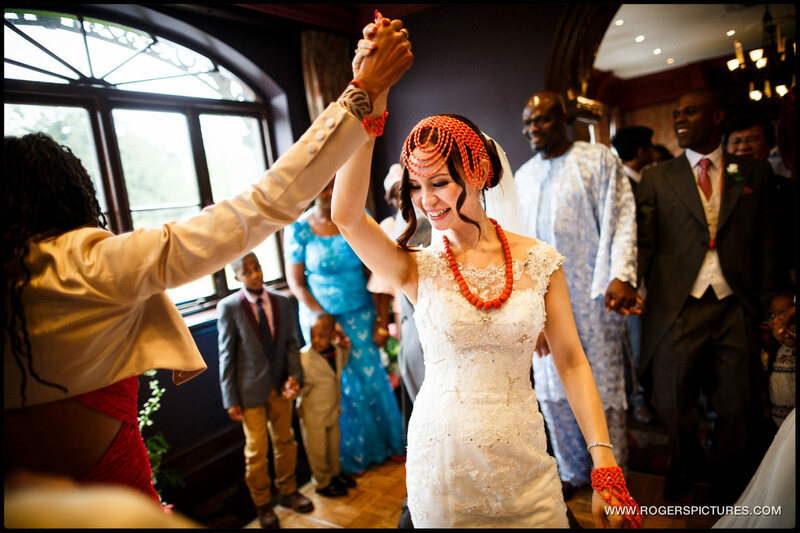 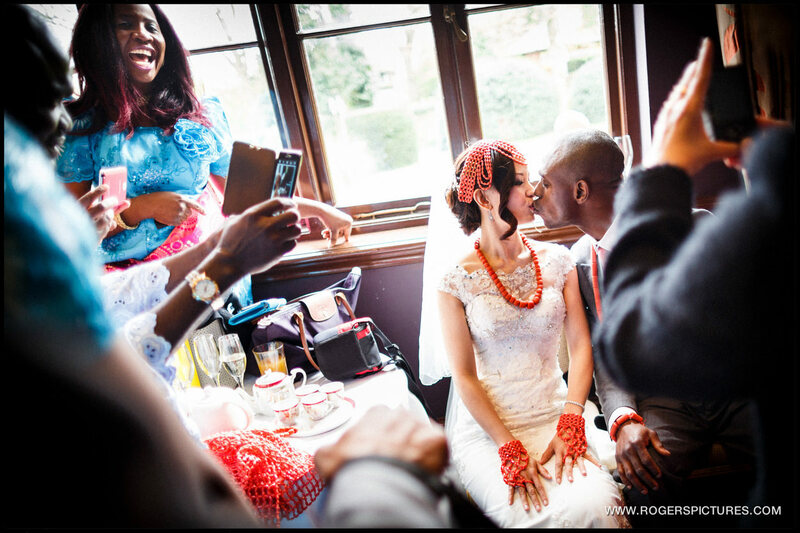 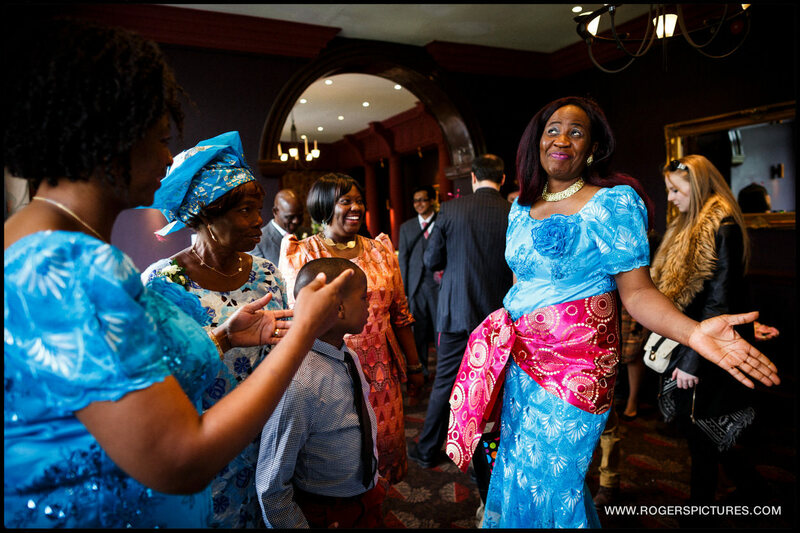 The wedding party then moved back to Hendon Hall Hotel where the celebrations started with a Chinese Tea Ceremony and a traditional Nigerian ceremony to welcome each into the others family. 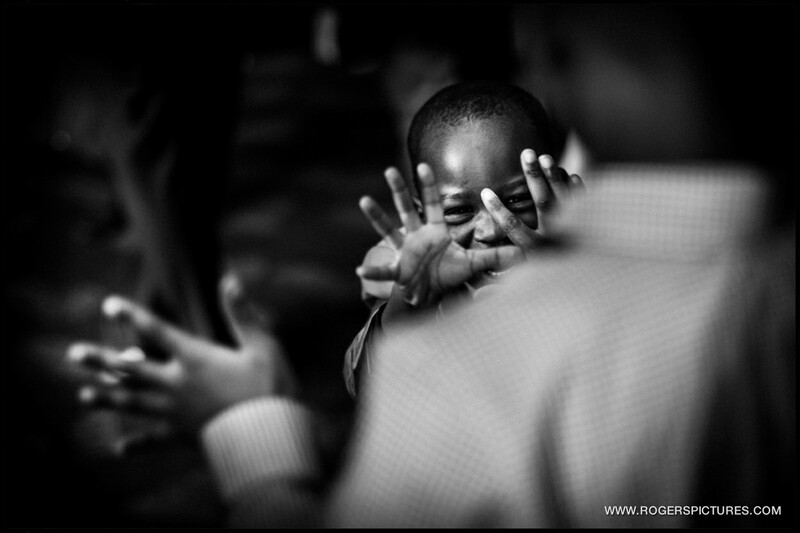 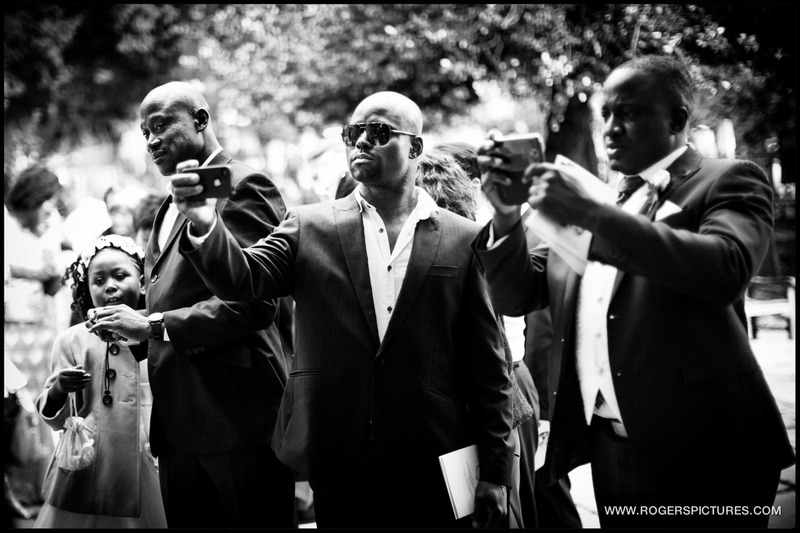 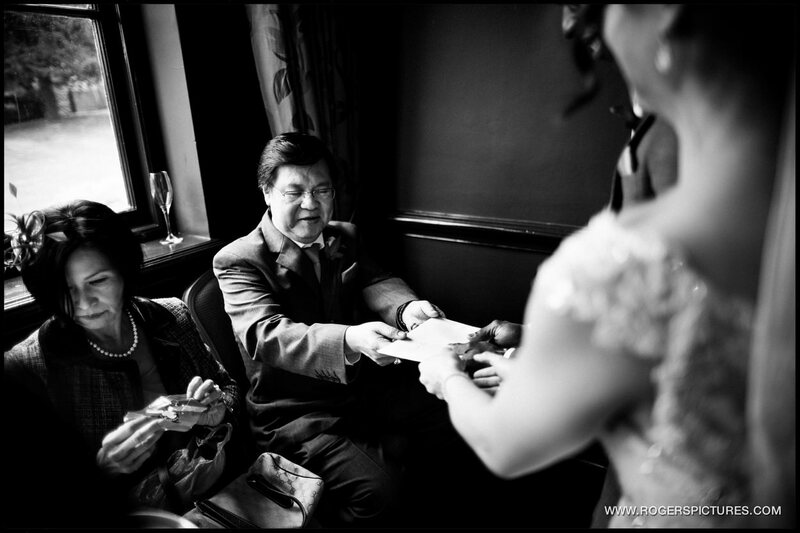 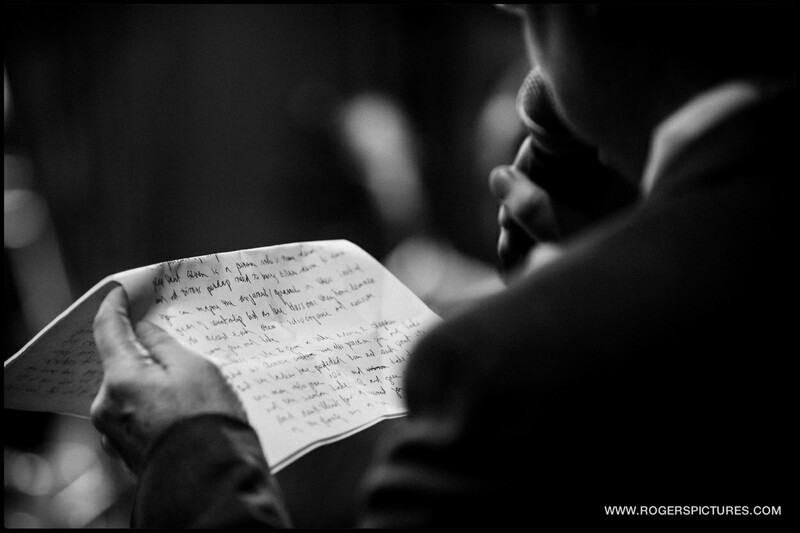 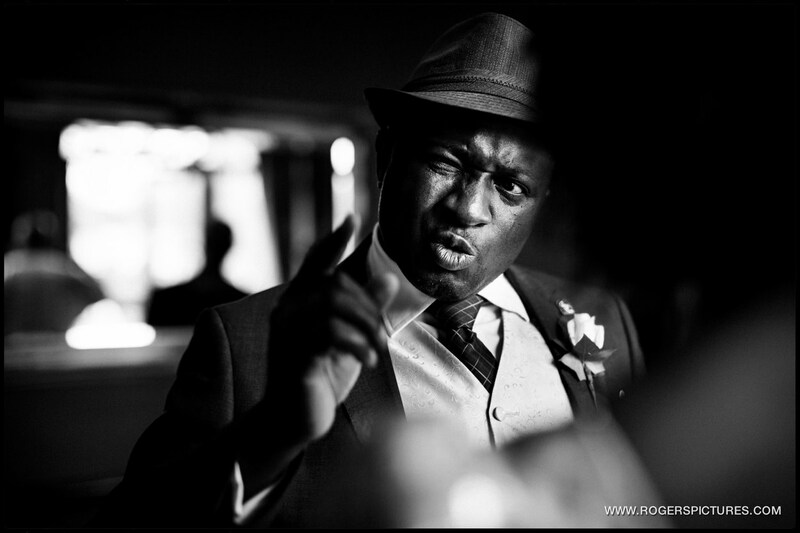 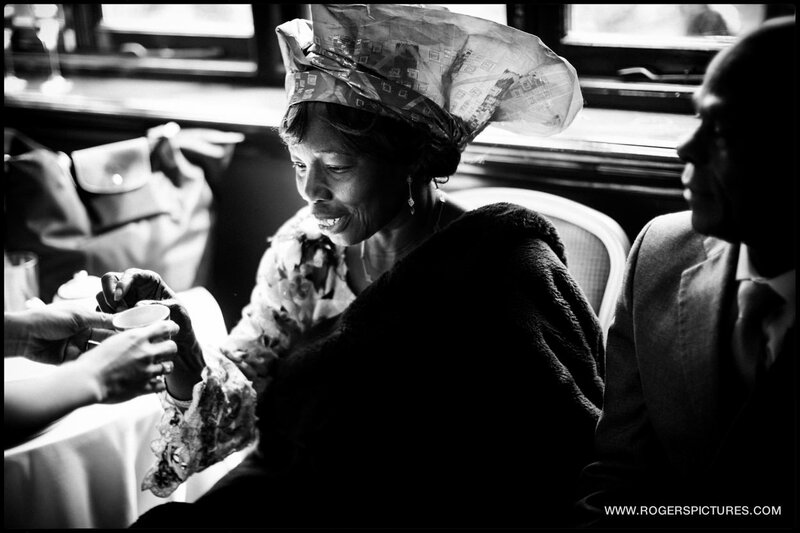 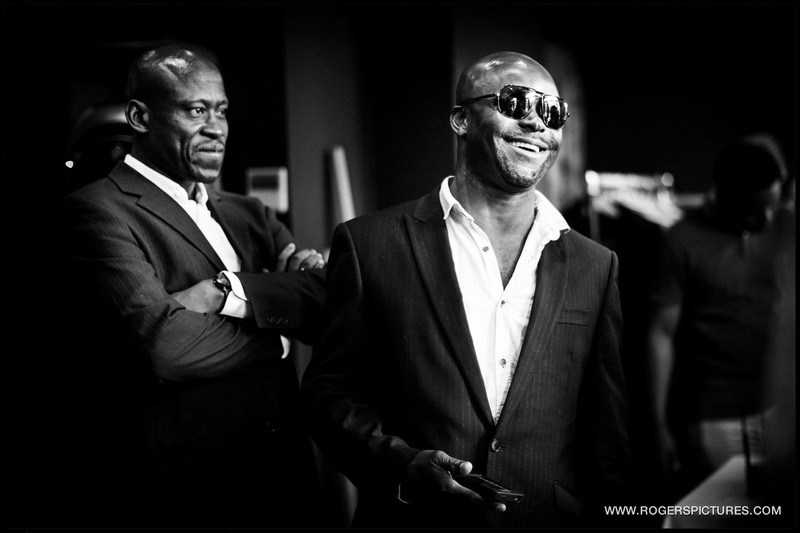 When you’re a documentary wedding photographer like myself, it’s always the guests that make a wedding. 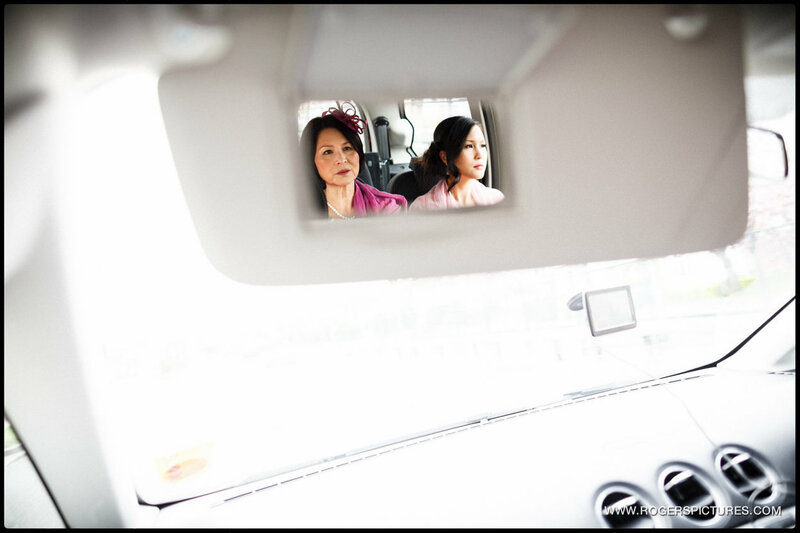 The surroundings and other details are important in creating the right atmosphere for the day, but it’s the interactions and emotions of the guests that really make each set of wedding photographs truly unique. 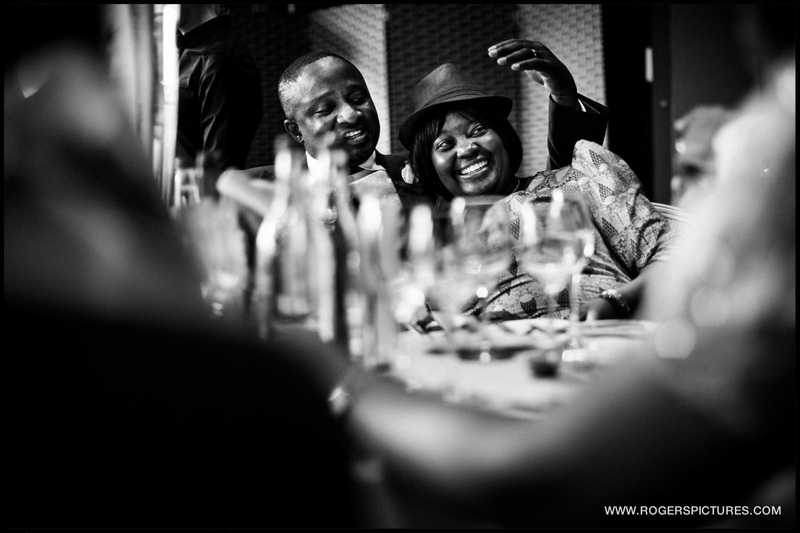 Although this was a relatively small wedding with 40 or so guests, you can see how much love was present in the pictures. 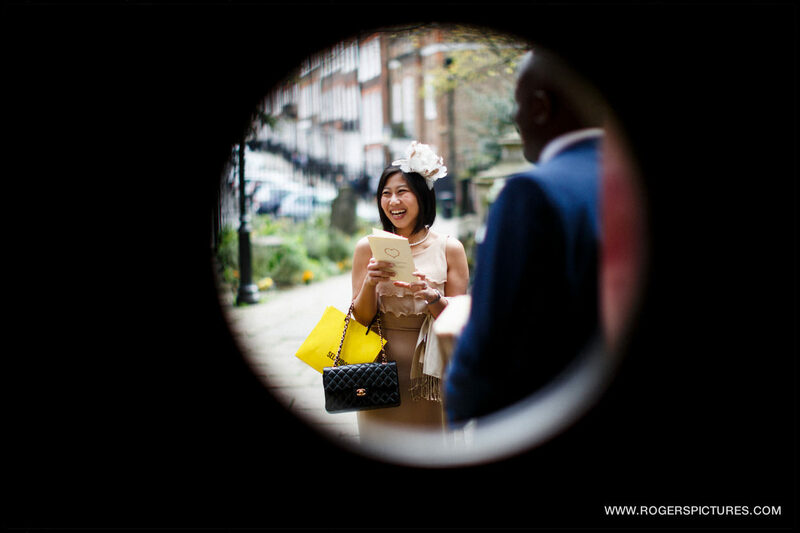 If you’re planning a Hendon Hall Wedding, or anywhere else, and like the look of these unposed, natural photographs, please get in touch to check my availability. 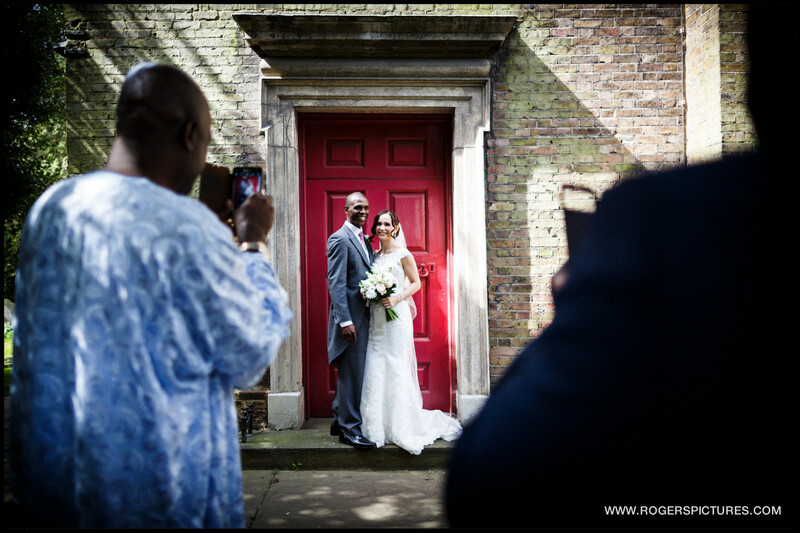 If you were a guest at this wedding, please ask Eileen and Steven for the passcode, then head over to the Clients Page to see even more of the photography. 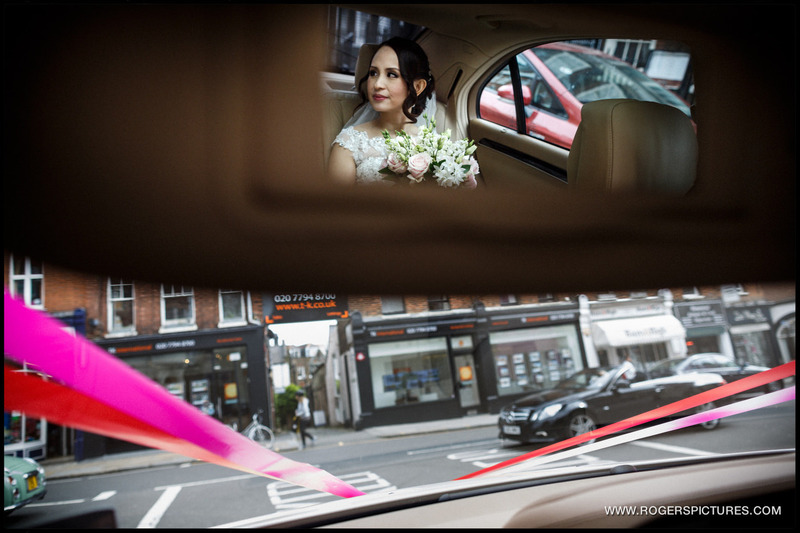 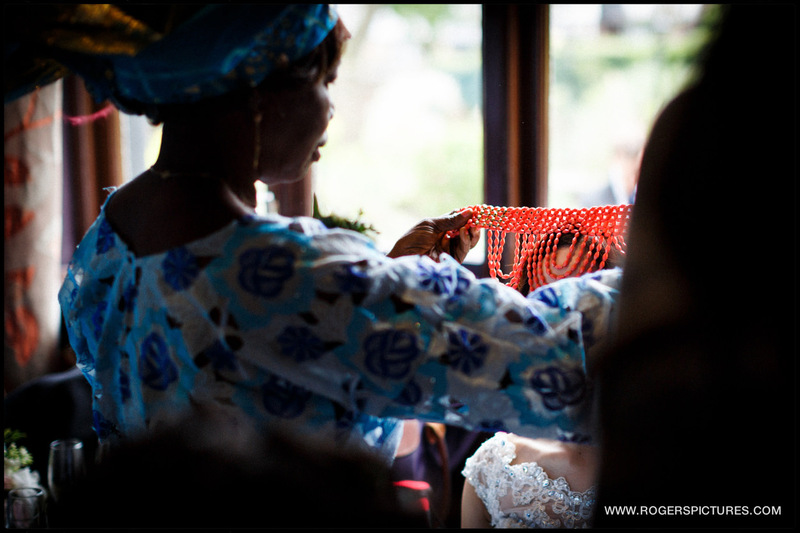 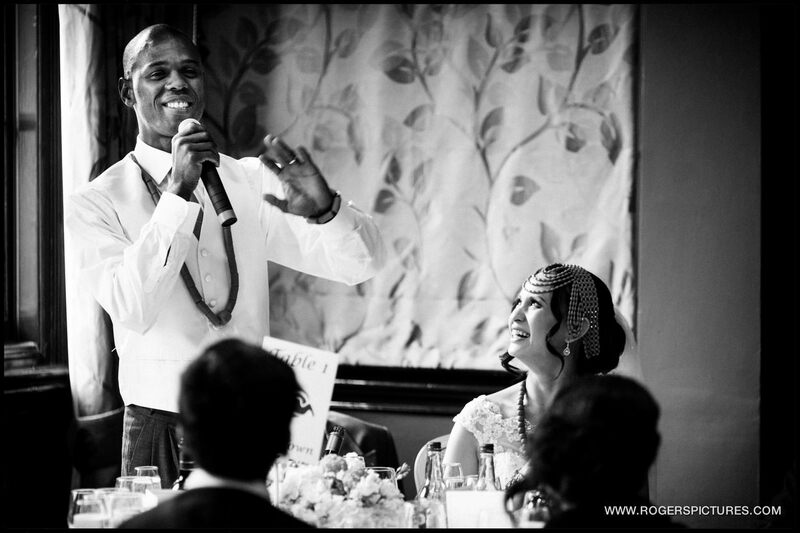 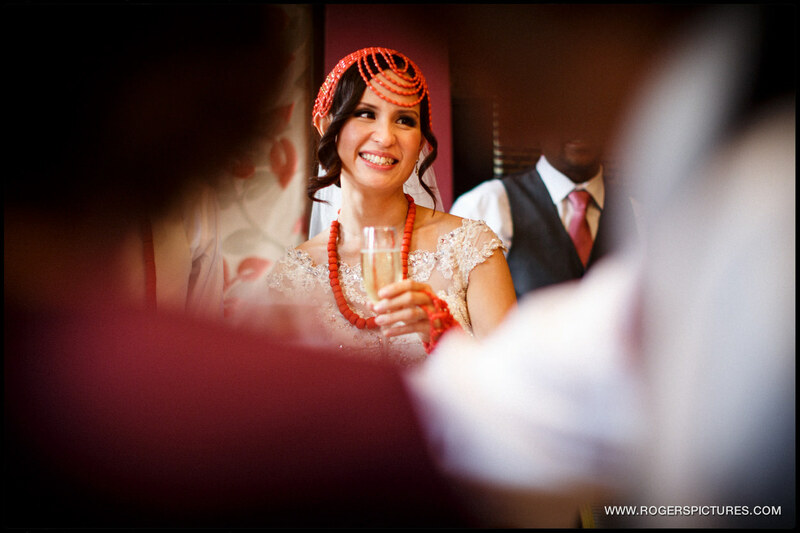 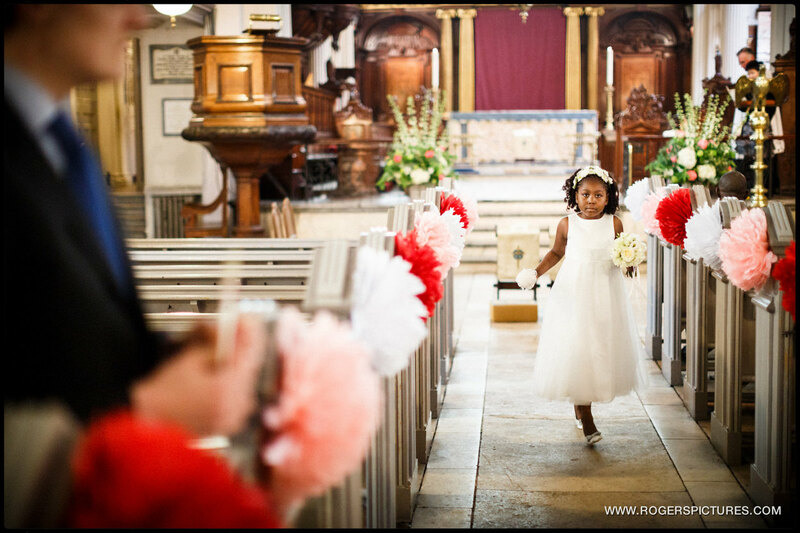 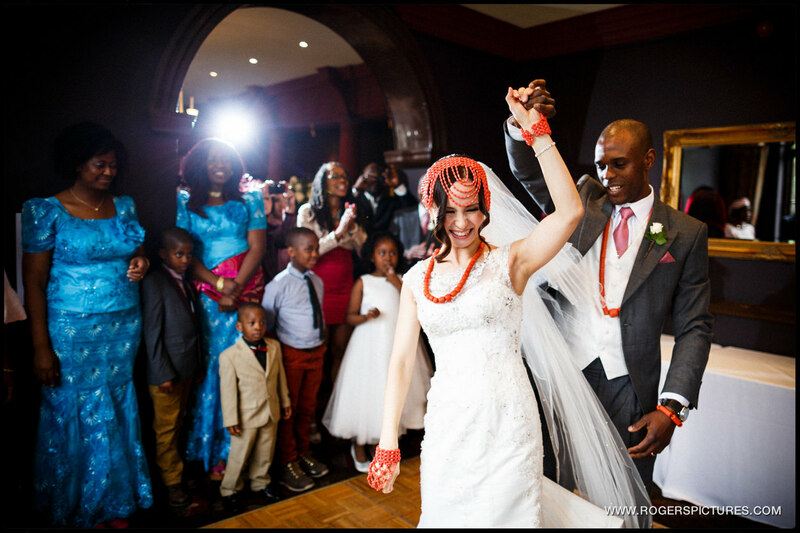 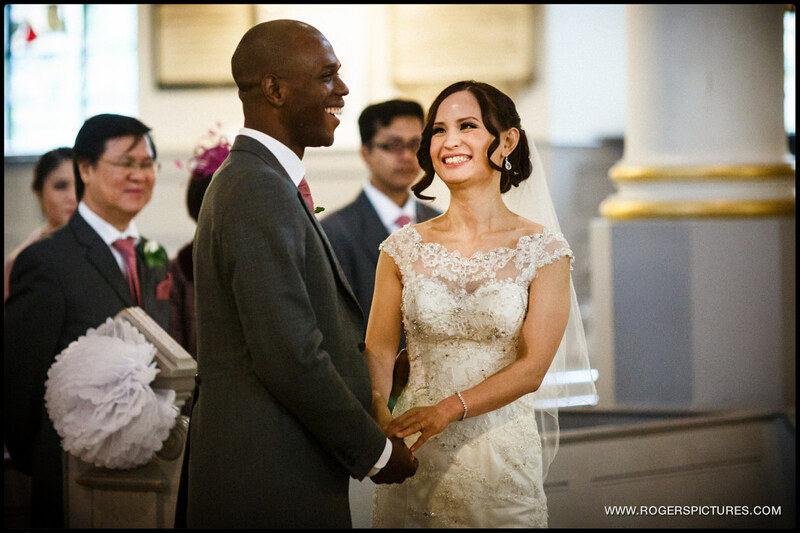 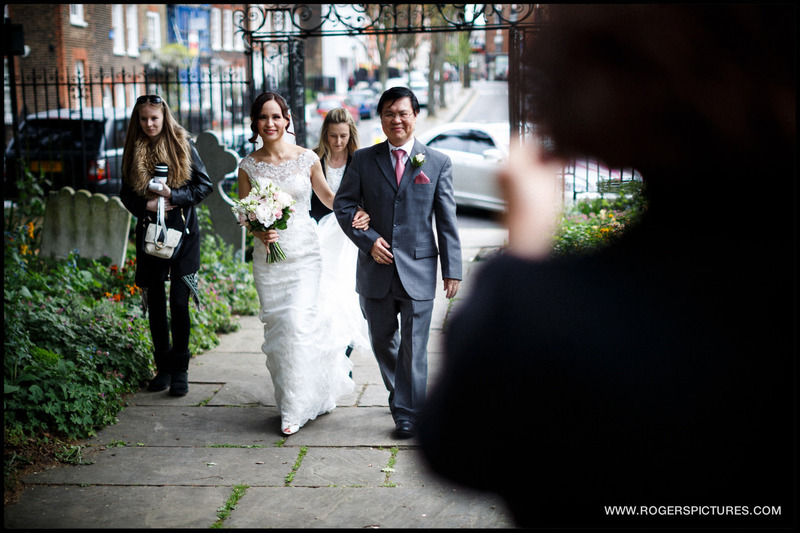 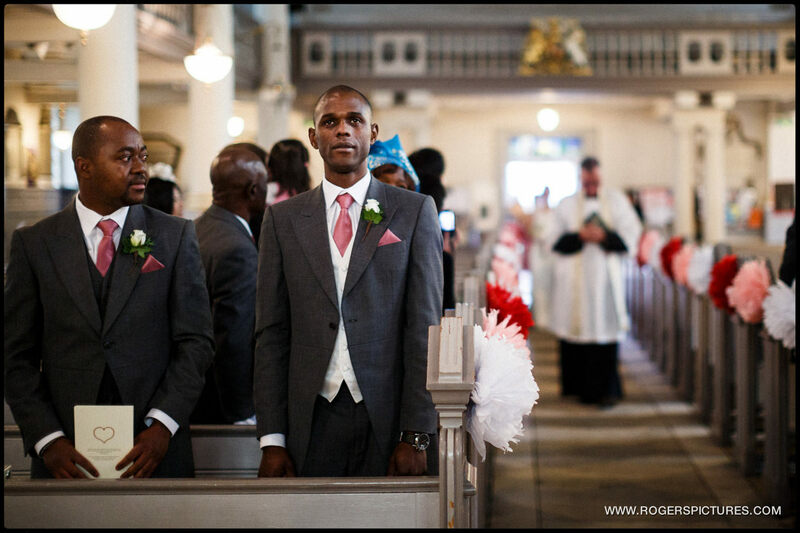 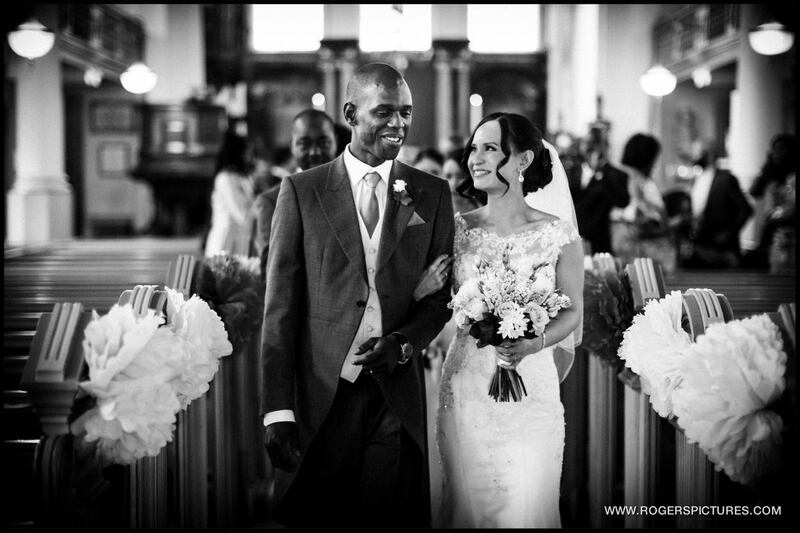 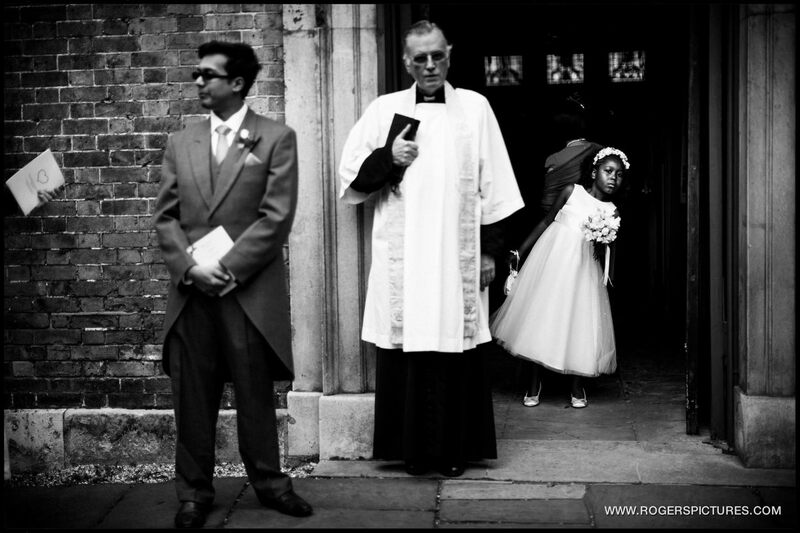 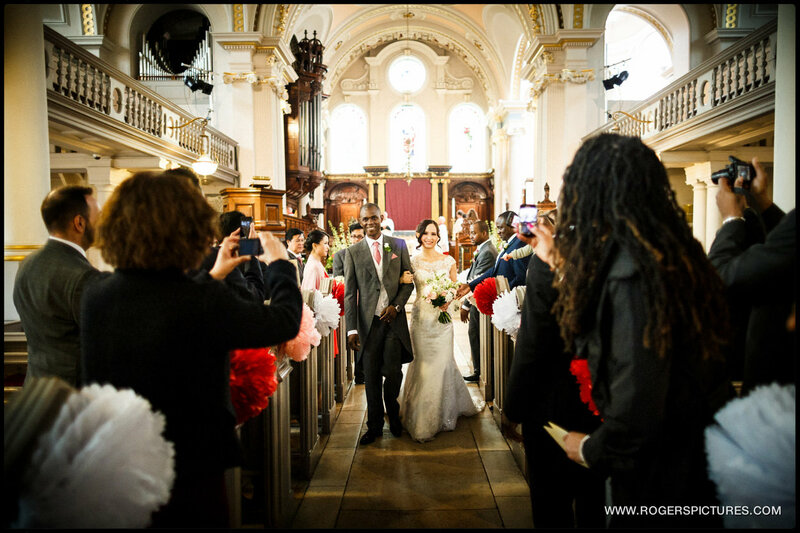 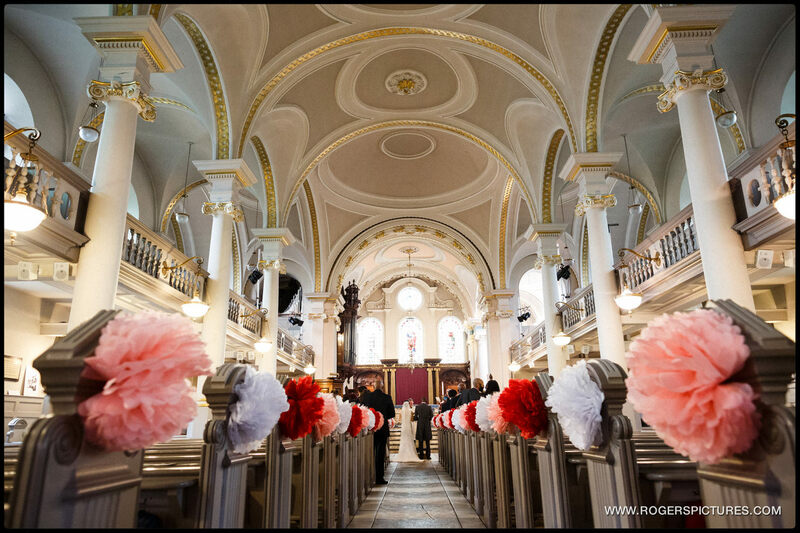 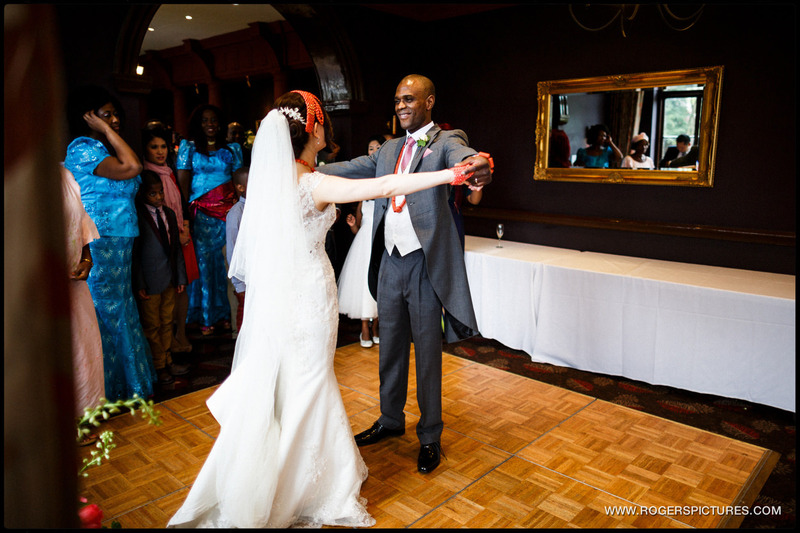 Check out another North London church wedding with this Highgate wedding. 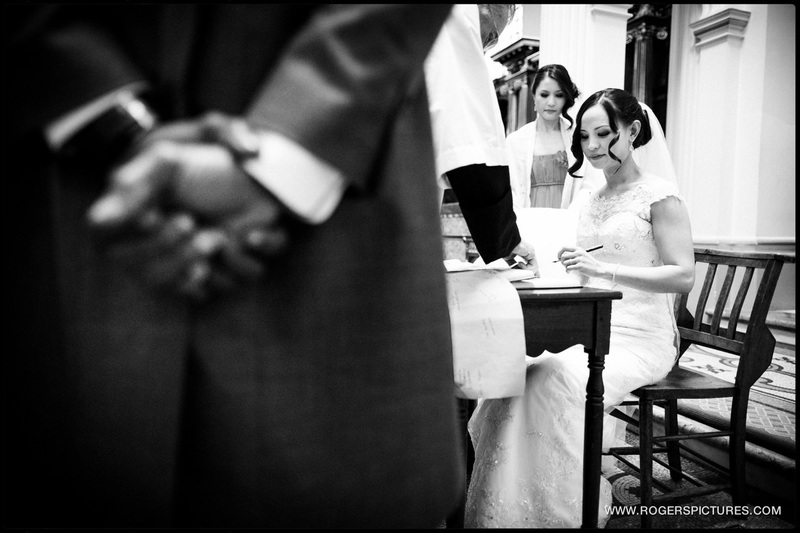 The day couldn’t have gone as smoothly without the expert wedding planning of Amanda from Ardley Weddings and Events.